UNM Anthropology is a highly regarded, affordable program at both graduate and undergraduate levels of study. 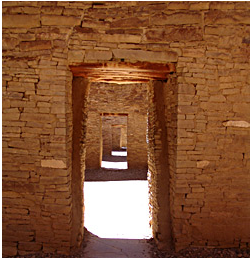 Located in the American Southwest, the school is well placed to take advantage of the region’s cultural diversity, deep historic roots, and remarkable archaeology. The Department’s faculty work here, throughout the Americas, Europe, Africa, Asia, and the Pacific. Students have an opportunity to participate in a variety of field training and laboratory programs, develop their professional skills, and contribute to Anthropology’s distinctive perspective.